The World Bank Group is at the forefront of financial innovation and international efforts to reduce greenhouse gas (GHG) emissions, address climate change and promote environmental conservation. That includes its private equity arm, International Finance Corp. (IFC). On Oct. 31 IFC announced it had raised $152 million via the sale of the first Green Bond issuance that gives institutional investors – pension funds, insurance companies and the like – the choice of being paid back in cash or carbon credits. Investors that choose to be repaid in carbon credits can retire them to offset their own GHG emissions or sell them for cash in the market. Each carbon credit represents one ton of CO2 emissions or the equivalent of another GHG. IFC developed the Forest Bond in collaboration with mining giant BHP Billiton and Conservation International. Major institutional investors, including CalSTRS, Treehouse Investments, TIAA-CREF and QBE, were among those who invested in the debut issue. 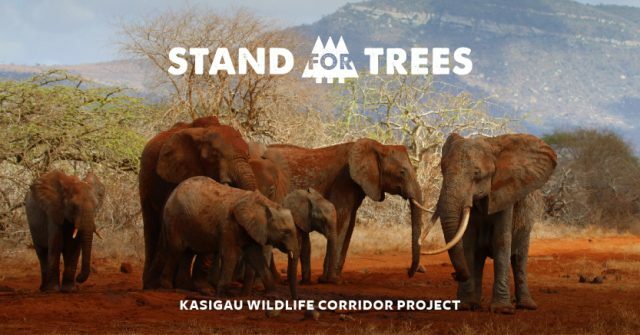 IFC will purchase carbon credits that originate from a UN-REDD (Reducing Emissions from Deforestation and Forest Degradation) project in Kenya’s Kasigau Corridor to obtain the carbon credits needed to repay investors. Supporting the Forest Bond’s price, BHP Billiton will purchase and manage a portfolio of REDD carbon credits from Kasigau Corridor projects to make coupon payments. The IFC Forest Bond is to be listed on the London Stock Exchange (LSE). “BHP Billiton is committed to operating sustainably and reducing our environmental footprint,¨ Fiona Wild, BHP Billiton Vice President Sustainability and Climate Change, said in a press statement. Some 5.5 million hectares (13.59 million acres) of tropical forest – an area about the size of Costa Rica – is destroyed every year, IFC highlights in a press release. Reducing deforestation is a core element of the UN and global community of nations’ drive to mitigate climate change and keep mean global temperature rise below 2ºC (3.6ºF). “Halting deforestation is essential to meet the global community’s climate goals,” IFC VP and Treasurer Jingdong Hua was quoted as saying. “To do that, we need to mobilize $75 billion to $300 billion in the next decade. 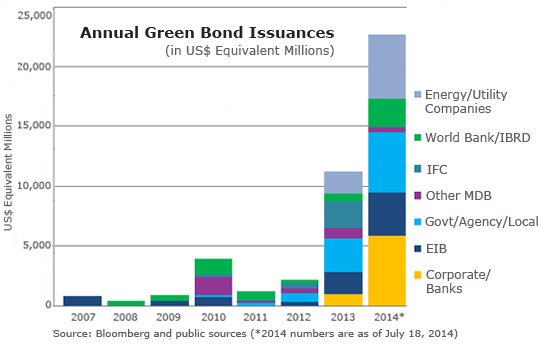 IFC has issued $5.6 billion in green bonds to date, the proceeds of which are invested exclusively in projects that mitigate or adapt to climate change while fostering sustainable development in industrially developing and non-industrialized countries. “It’s exciting and extremely encouraging to see the climate finance market continue to move forward with a steady stream of unique deals that offer attractive valuations for investors, while at the same time, delivering a positive environmental impact.” said Stephen M. Liberatore, managing director at TIAA Global Asset Management. Liberatore is responsible for ESG fixed income strategies, including the TIAA-CREF Social Choice Bond Fund.